When it is dinner time, there is no wonder we are addicted to Chutneys and spicy pickles. Be it homemade or purchased ones, you have got yummy things awaiting to treat your taste buds, but they are often termed unhealthy. The main reason is the huge volume of oil added to the pickles for preservation. Though this may sound appetizing still, it remains to be unhealthy, they say. Wait, is this really true? Are pickles and chutneys really unhealthy to include in your daily food intake? Which of these two is better? According to nutrition experts who have helped even celebrities in keeping up with their shape, including a spoon of pickle in your daily food intake is nothing wrong. 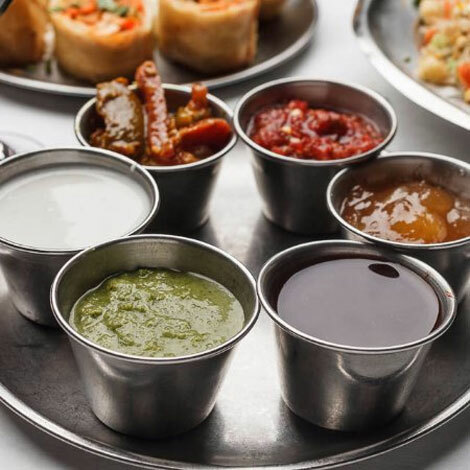 And likewise, it is also good to take dips and sauces in the form of Chutneys. Pickles are prepared by fermenting. As you allow salt and oil to get mixed in the preparation of pickle, good bacteria tends to grow within the pickle which does a lot more good than you think. They have rich anti-bacterial properties. Rather than doing harm by increasing your blood pressure, the rich salt content in pickles tend to improve your digestion. In fact, you can make your pickles healthier by including rock salt instead of the regular salt which is often called table salt. Similarly, you can go for freshly made oil instead of packaged ones. Generally, pickles are prepared using vegetables. These are naturally going to be very high in nutritive values such as vitamin A, Vitamin B-12, Vitamin C, folate, antioxidants, etc. that are really good on your body. Consuming pickles in the right amount, thus does a lot more good than you think. It helps you in problems like bloating and anaemia and Irritable Bowel Syndrome. Coming on to chutneys, these are very nice alternatives to pickles. They can be also called as dips or sauces. Importantly, these are freshly ground. Generally, chutneys are prepared using fresh roots or leaves that give you the real nutrients of the raw ingredients. Preparation of chutney involves very little oil and hence it is fat free. Chutneys mostly involve the use of ingredients like garlic or ginger and salt which further increases its goodness. They are very rich in antioxidants and hence keep your body protected from danger and safeguard your body from free radicals that may cause damage to DNA structuring. Being raw in its nature, those enzymes found in chutneys help in bidding bye to digestion problems. Hence, parents are often advised to include chutneys in the day to day intake for children and make it a practice to get used to the taste. What is the ideal volume to include? Generally, it is good to include a reasonable amount of anything, be it chutney or pickle. Your meal should importantly also include vegetables, pulses, salads and greens. Also make sure that there is not too much usage of salt or oil in preparing either pickle or chutney. Furthermore, do not make the items too spicy as it is not good for your digestion. Have small portions of either of the condiments in your regular diet for all the goodness of the micro nutrients and enzymes present in them.